Regardless if you need a new website built or just a landing page for your existing website, DLM Marketing has a team of professional web developers and graphic designers. We are ready to start working on your website development project today. DLM Marketing can build you a website on any CMS you prefer. However we do like to recommend either WordPress or Magento depending on your needs we can also build you a unique custom HTML5 / CSS3 website. Both WordPress and Magento are content management systems (CMS). A CMS is the front-end user interface that allows a user, even with limited expertise, to add, modify and remove content from a Web site without the intervention of a webmaster. Magento is a high performance, scalable digital commerce solution for fast-growing and large businesses. Magento gives you the power to create bold and unique shopping experiences that will transform your business. Built for rapid innovation, the platform combines rich, out-of-the-box functionality with powerful business tools to keep you ahead of increasingly complex commerce operations and growing customer demands. 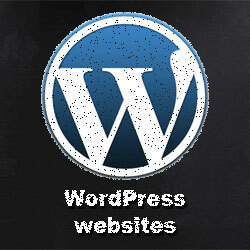 WordPress is perfect for people that wish to have a content rich site. 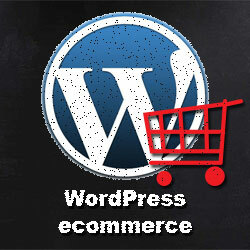 You can also intergrade an online store within your WordPress website. WordPress allows you to build any kind of site you want: business site, blog, portfolio, the sky is the limit! Please note: Hosting and domain registration costs are not included in this package. Please don’t hesitate to call us if you would like more information or to request a detailed quote.